If you are an apricot lover, you will love these biscotti. I could eat the whole batch by myself. To enhance the apricot flavor I use specialty apricot flavorings and I recognize that many readers may not have access to those ingredients. You can easily substitute with two Tablespoons of apricot jam. Preheat oven to 325 degrees. Line two baking sheets with parchment paper. In a medium bowl combine flour, sugar, baking powder, salt and zest. Mix well. Set aside. In a mixing bowl beat together eggs, flavorings or jam and extracts. Slowly add the dry ingredients to the egg mixture. Scrape down the bowl to mix well. Add dried apricots and nuts. It will be a thick dough, you may want to use your hands to evenly distribute the apricots and nuts. If the dough is sticky, flour your hands. Divide dough into three. Form each section into a 10×2 log. Place two logs on one baking sheet and the third log on the second baking sheet. Flatten the tops slightly. Bake for 30 minutes until light golden, rotating the pan half way through baking. Remove from oven and let logs sit for 5 minutes on the baking sheet. Place logs on a cutting board and slice on the diagonal. You should get about 15 slices per log. 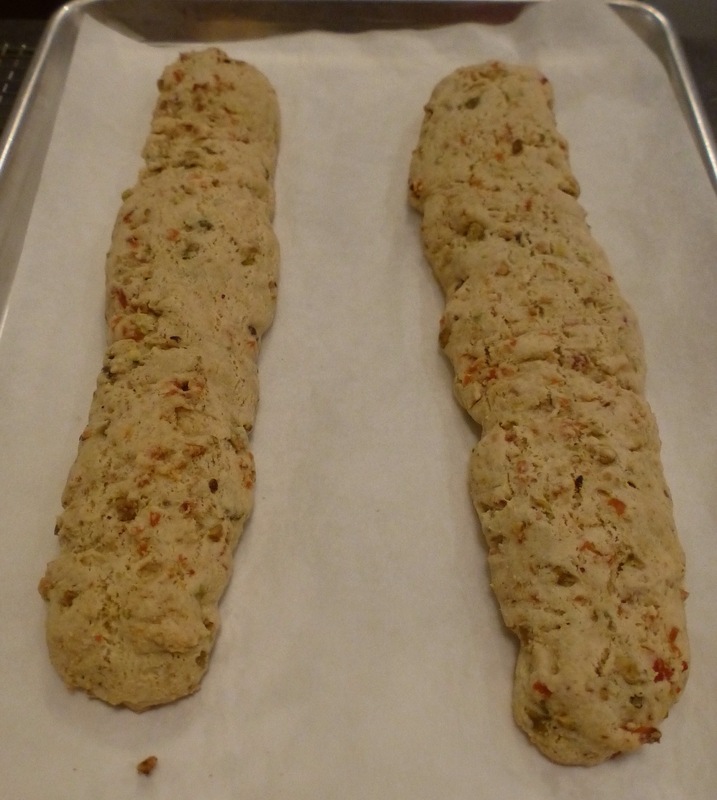 Return sliced biscotti to the baking sheet and bake for 10 more minutes or longer if you prefer them crispy. Cool on rack. 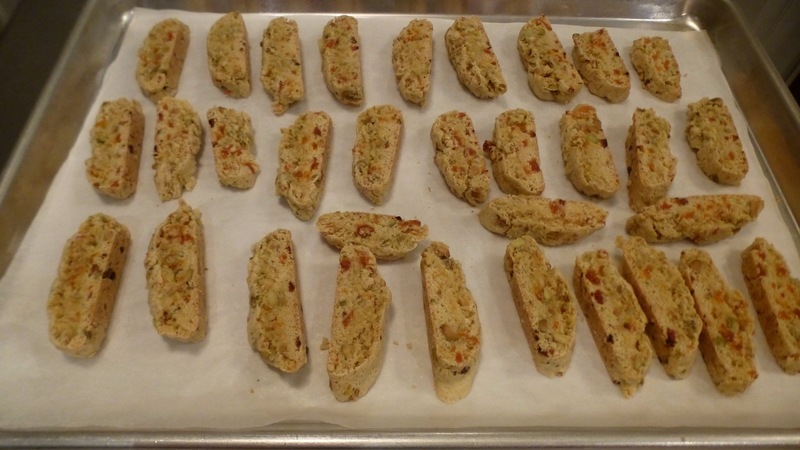 Makes 45 small biscotti. This entry was posted in Christmas, Cookies, Dairy-free, Desserts, Easter, Fruit, Thanksgiving. Bookmark the permalink. What a great twist on biscotti. Thanks for sharing. Thank you for commenting. Enjoy.